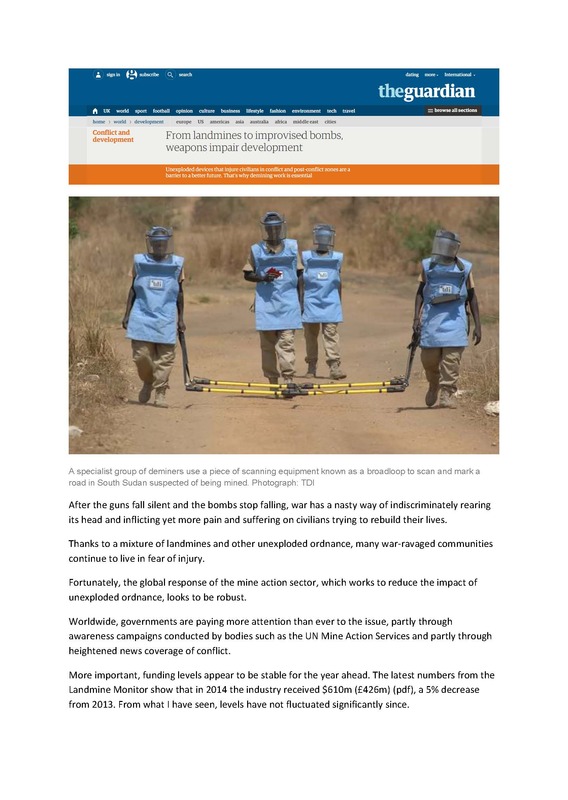 Unexploded devices that injure civilians in conflict and post-conflict zones are a barrier to a better future. That’s why demining work is essential. After the guns fall silent and the bombs stop falling, war has a nasty way of indiscriminately rearing its head and inflicting yet more pain and suffering on civilians trying to rebuild their lives. Thanks to a mixture of landmines and other unexploded ordnance, many war-ravaged communities continue to live in fear of injury. © 2019 The Development Initiative. Clarendon House, 2 Church Street, Hamilton HM11, Bermuda.